Joe is available for select private events including birthday and anniversary celebrations, holiday parties and other occasions. Joe is available to teach private magic lessons in some cases. Contact him for an interview. 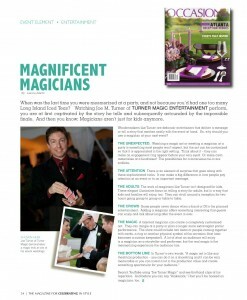 You can find out more about Joe’s magic for weddings in this article which appeared in Occasions Magazine.